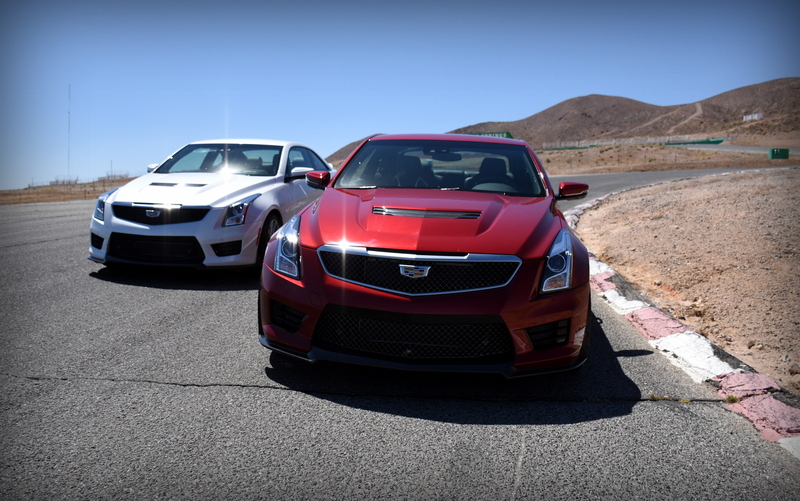 The latest entry in Cadillac’s performance-focused V-series lineup is the all-new 2016 ATS-V. This 464 horsepower compact luxury vehicle comes in both coupe and sedan form, and has a top speed of 189 mph. 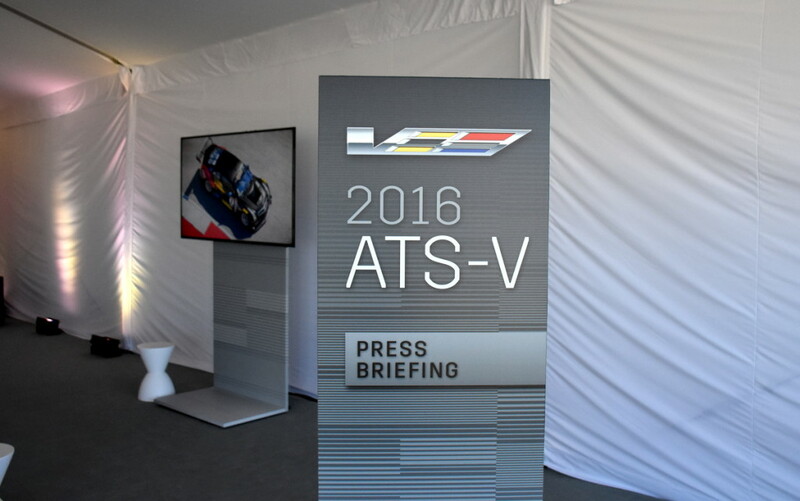 The day started with a briefing about the ATS-V’s features and highlights, beginning with the twin-turbocharged V6 engine. This is the first-ever turbocharged V-Series model and it’s loaded with components engineered specifically to produce more immediate spooling and precise boost pressure response. Titanium-aluminide turbines are used to reduce rotating inertial load, meaning drivers will receive smoother torque delivery without turbo lag. Cadillac’s patented, manifold-integrated charge cooling system also helps to mitigate any lag by removing the need for a remote heat exchanger, sending air from the compressors directly to the intercooler. Lightweight materials and reduced airflow routing translates to a fast revving engine without the delayed power output of traditional turbocharging. Also new for 2016 is the option for a TREMEC TR6060 six-speed manual transmission or a Hydra-Matic 8L90 eight-speed automatic transmission. The six-speed manual features active rev match, launch control and my favorite, no-lift shifting – keep your right foot planted on the gas pedal during gear changes and the car maintains proper revs and full boost. The eight-speed automatic, designed and built by GM, allows full manual control via paddle shifters and features seamless shifts thanks to a new transmission control system that analyzes and executes commands 160 times per second. Keeping all of this performance in check are a 6-piston, 4-piston rear Brembo brake system with vented rotors. 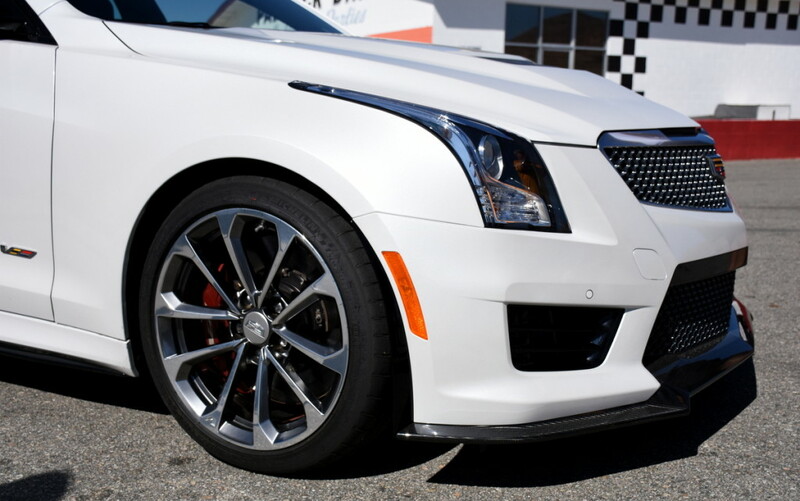 Bundle that with specially designed, tri-compound Michelin Pilot Super Sport tires and the ATS-V has got some serious stopping power. 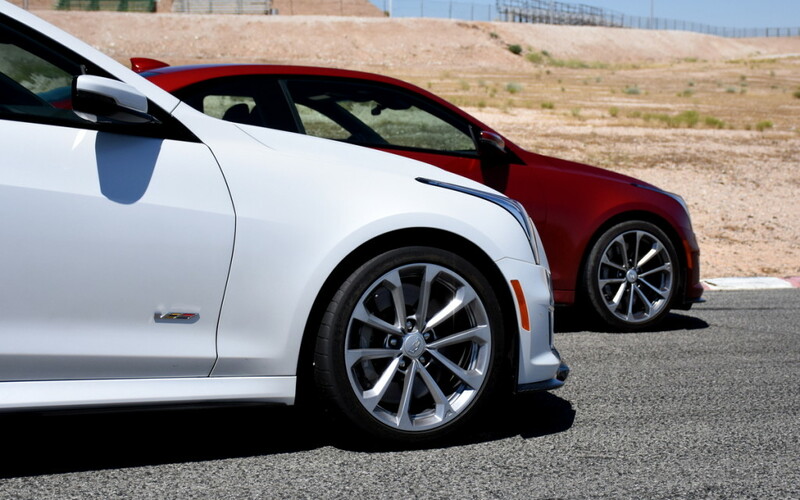 The summer-only performance tires are a result of approximately two years of development, focusing not only on optimizing tire compound but also maximizing the contact patch for the ATS-V’s specific stance and suspension setup. The car’s exterior design speaks for itself with clean and aggressive lines as well as plenty of aerodynamic and cooling performance. An available carbon fiber package adds more functional components like a larger front splitter, rear diffuser, and a taller rear spoiler. 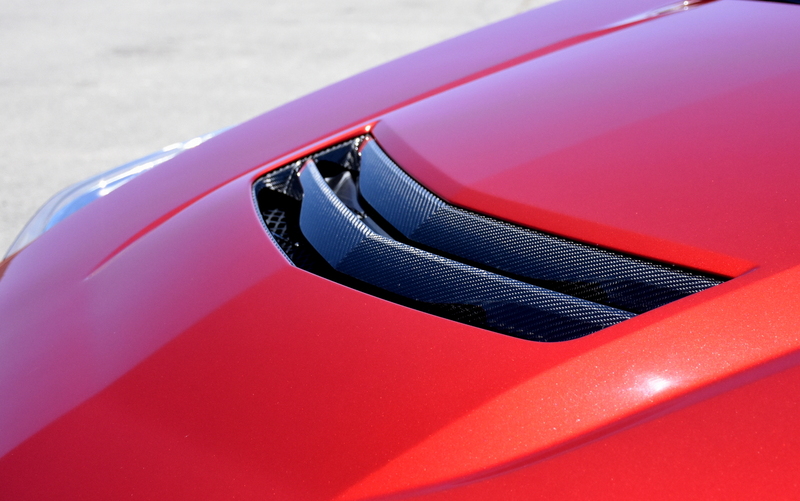 A carbon fiber hood comes standard on all ATS-V models. 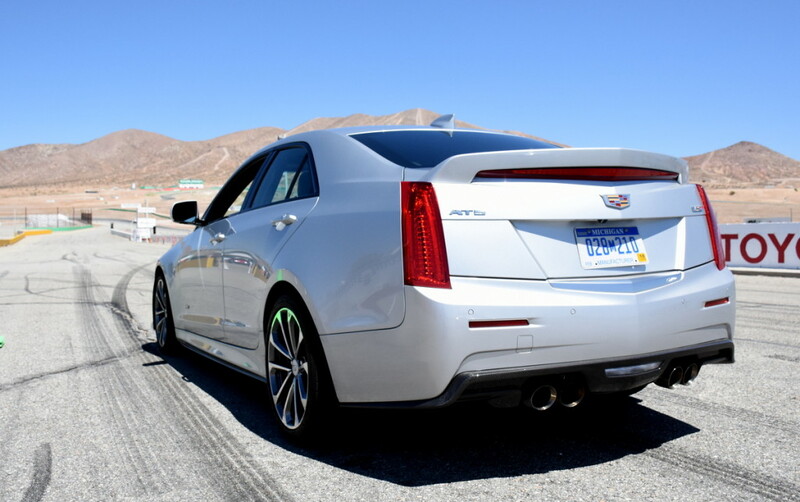 It was finally time to try out these performance enhancing features as a complete package, and after a guided reconnaissance lap, we were released onto the 2.5 mile “Big Willow” configuration to experience all the ATS-V had to offer. For my first session, I drove an ATS-V sedan with a six-speed manual transmission. The following video was filmed with the built-in Performance Data Recorder (PDR). Launch control is automatically activated when the drive mode is set to Sport 1 or higher. Shift into first gear, apply full throttle, and then release the clutch for an exciting start. The higher Sport modes allow for less intrusion from the traction control system. Going through the gears without letting off the gas is an awesome feeling. The concept sounds counter-intuitive, but it only took one try for me to be completely comfortable. In one simultaneous move, I quickly press and release the clutch pedal while selecting a new gear. For the moment that the clutch is disengaged, the engine holds its revs and maintains maximum boost pressure from the turbos, allowing uninterrupted power delivery once the next gear is fully engaged. As I reached the end of the front straight, traveling over 130 MPH, the Brembo brakes slowed me down for the first corner with around 40% brake pedal pressure, generating over 1 g of lateral force in the most controlled manner. This was the case lap after lap as the brakes never showed any signs of fading. The ATS-V sedan’s handling is well-balanced and very responsive. To be honest, I forgot that I had an extra set of doors and sets behind me; it’s behavior on the track is very coupe-like. 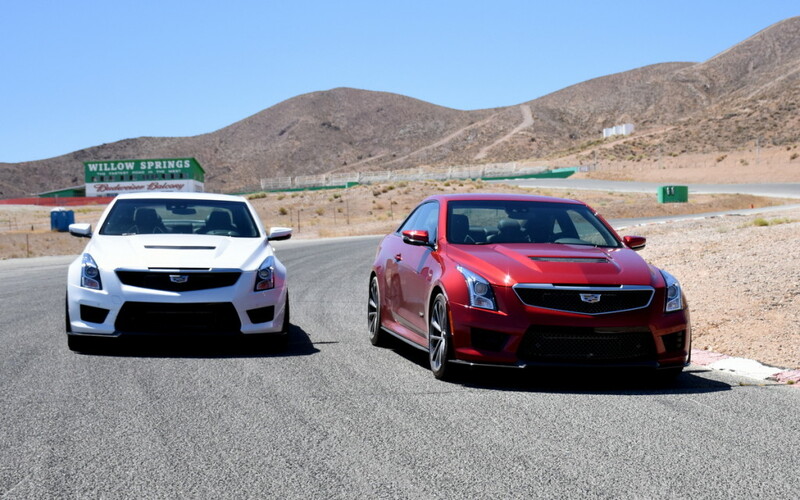 This shouldn’t be a surprise for those well-versed on the ATS series as the coupe and sedan share the same platform and have an identical wheelbase at 109.3 inches. 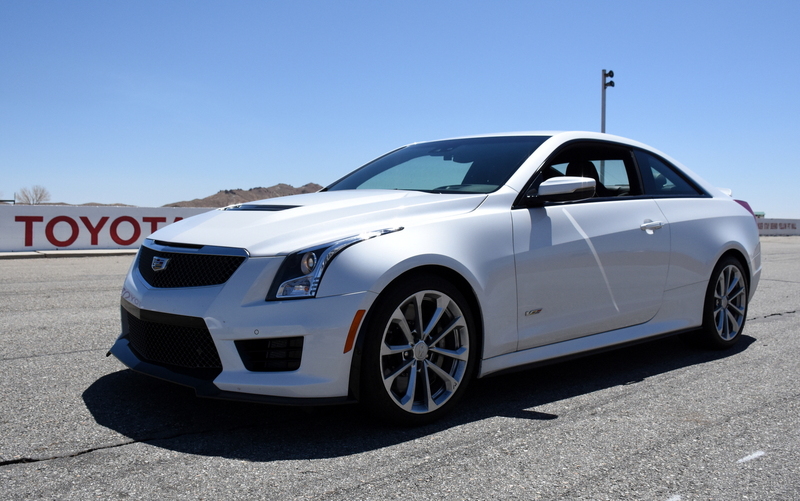 For someone with limited track experience, I felt very confident in the ATS-V, especially with the systems like Performance Traction Management and Magnetic Ride Control looking out for me. 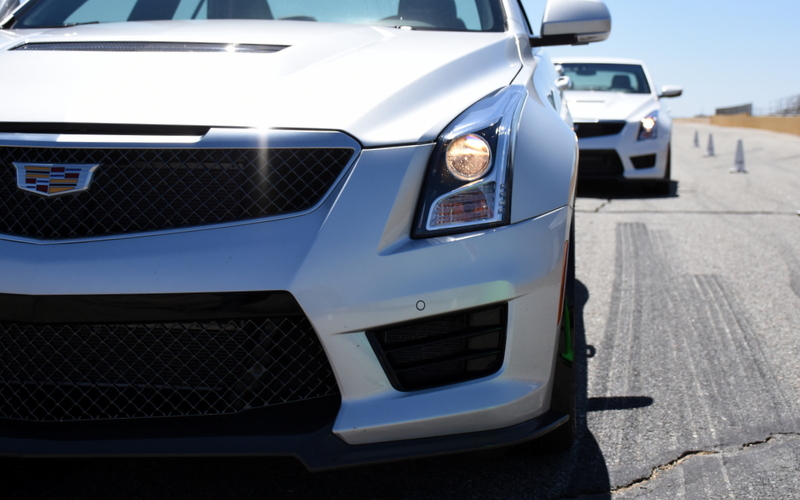 These systems plus the car’s increased structural stiffness helped me stay out of the dirt as I crested over Turn 6 at full throttle with a 30 degree steering angle (1:30 in the above video). I’m certain that scenario would have resulted in a spin-out if I were driving a lesser car. While we all strive for smooth driving, sometimes mistakes happen and it’s good to know that the ATS-V can settle itself quickly and keep us on track, both figuratively and literally. 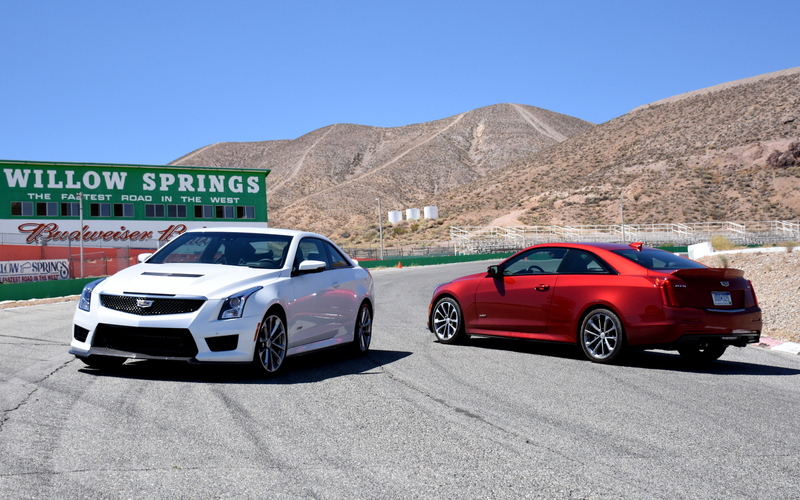 After a quick break and a failed attempt at finding someone willing to take my credit card information in exchange for one of these cars, I slid into an ATS-V coupe with an automatic transmission for a few more hot laps. The launch control on the automatic transmission is less aggressive, but allows for a cleaner start. I left the transmission in full automatic mode to see if it could accurately predict my power needs, and I’m happy to report that it performed perfectly. The engine was always in its optimum power range and gear shifts occurred in all the right places. 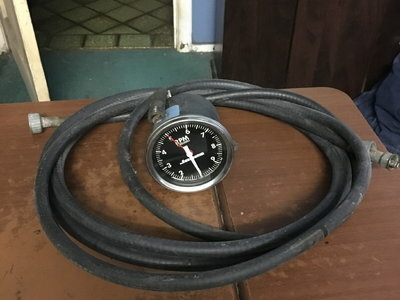 During a steady-speed corner where a downshift would have been possible, the transmission opted to stay in the higher gear, deciding that the available torque was a better option for the turn exit. I don’t think I couldn’ve done a better job using the paddle shifters. 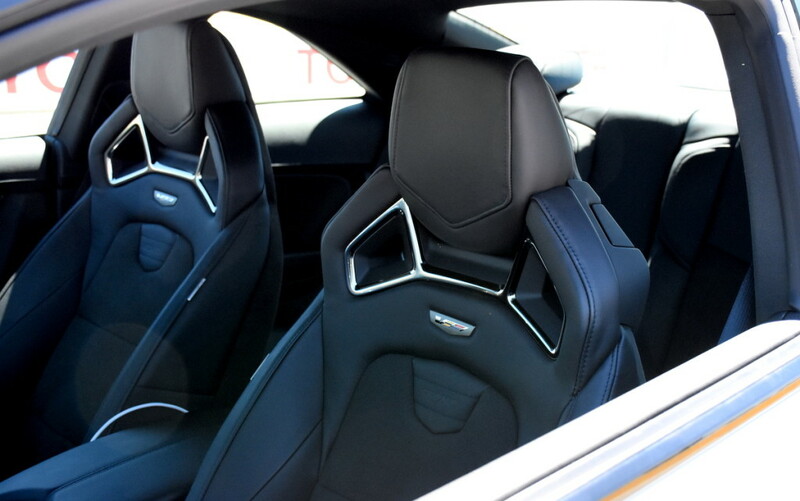 With my mind not worrying about gear changes, I was able to appreciate some other aspects of the car, like the RECARO performance seats. not only do they look elegant, wrapped in leather with sueded inserts, they also provide some serious bolstering. With 16-way adjustment, including thigh and back bolsters, the RECARO seats can be customized for comfortable cruising or maximum lateral support. it’s a must-have option for all track-day enthusiasts. Handling characteristics of the coupe differ slightly from its 4-door sibling. 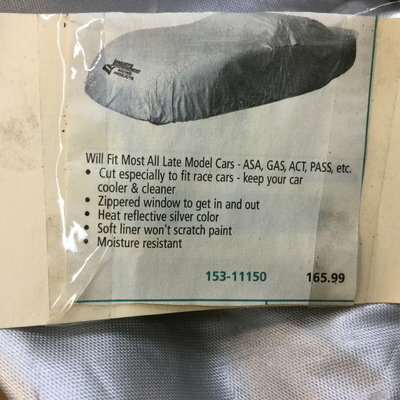 While the suspension tuning is the same between the two models, the coupe has a one inch wider rear track and an overall height that is 1.2 inches lower than the sedan. For me, the coupe felt more planted in the turns and was less affected by the undulations of the track. 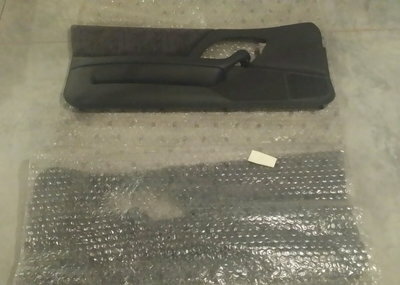 I’m not a professional driver, so it’s entirely possible that it was all in my mind because on paper, the two models are just about identical in weight and exterior dimensions. 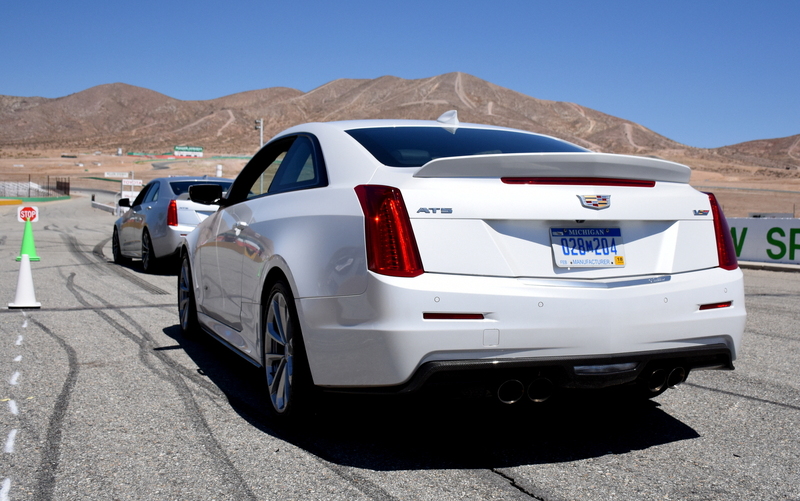 The ATS-V is an excellent blend of luxury and performance without compromises. 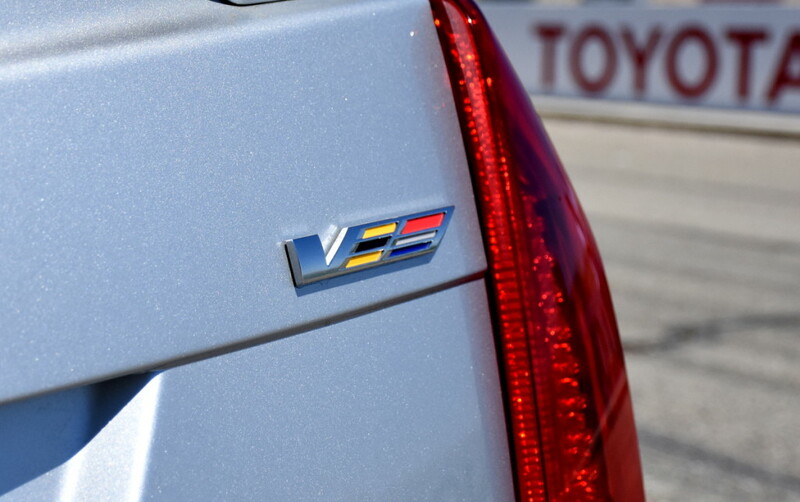 Comfort and capability are simultaneously achieved thanks to Cadillac’s focus on refinement instead of just raw performance numbers. It’s one of those “luxury sleepers” that you take to the track and surprise all of your friends with how fast you are, and then drive directly to a black tie event. 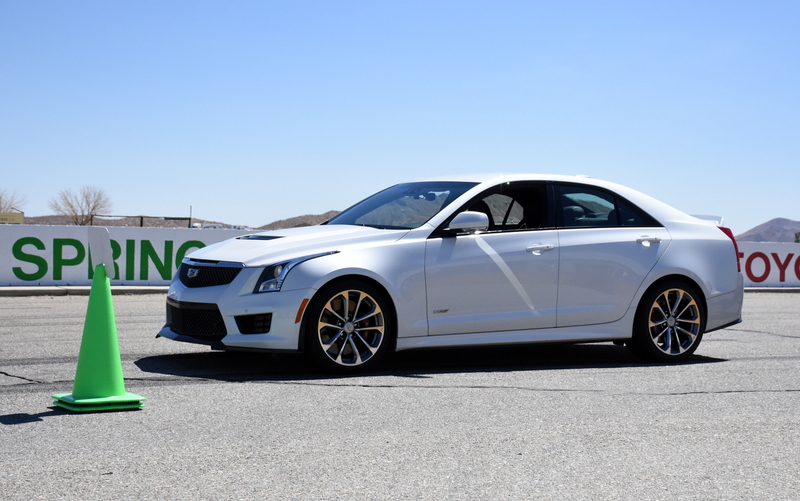 Look for the 2016 Cadillac ATS-V to arrive in dealerships later this year with a starting price of $61,460 for the sedan and $63,660 for the coupe.